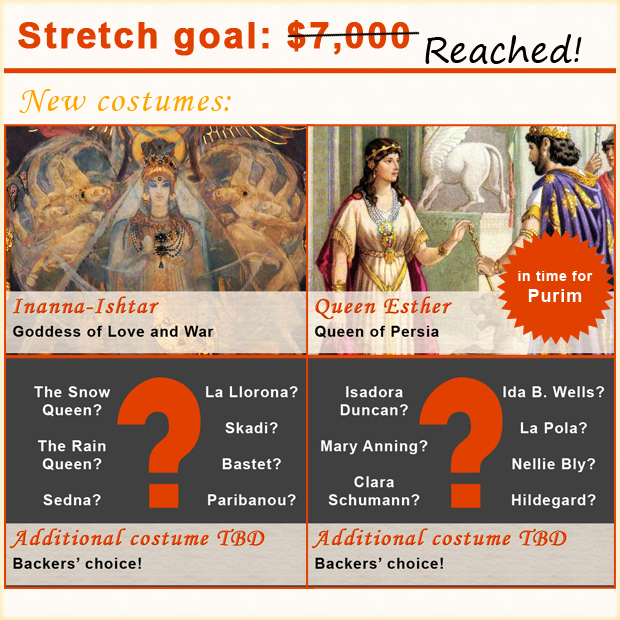 Thanks to you, our fantastic backers, we reached our final stretch goal and then some. We’re winding this thing up at over 300% of our initial funding goal, which is absolutely astounding. We are so honored and heartened by the support we’ve received from all quarters. Thank you, everyone, so very much. And the media attention has been intense! Thank you, journalists, for recognizing the movement towards a more diverse, creative, and empowering Halloween. Happy dance forever! The coming year at Take Back Halloween is going to be fantabulous. 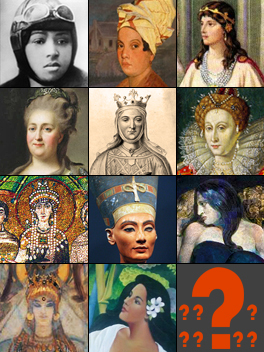 The popularity of our site (did you know that we’re ranked #1 in Google for dozens of important women in history and mythology?) means that our costs have ballooned since last year. This is an all-volunteer operation, so we rely on you to keep us going. It only takes $5 to become a backer—well, actually it only takes $1, since that’s the minimum Kickstarter will allow you to pledge. 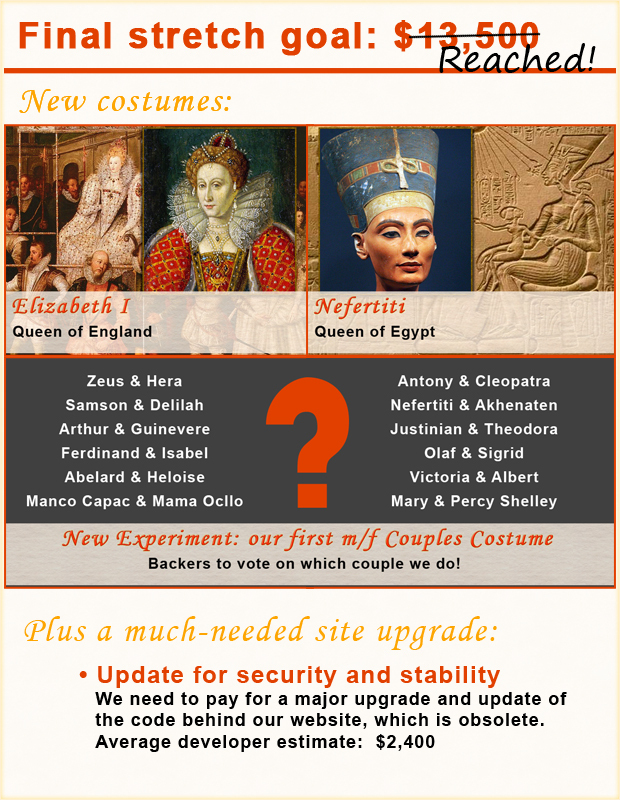 We’ll enroll you in our donor-only Voting List, which means you’ll get to vote on the new costumes. Plus you’ll get our monthly newsletter! …or go straight to our Kickstarter page. We appreciate every single dollar we get. No matter what your pledge level, we deeply appreciate your support. You’re the ones who make all this possible! It wouldn’t be a Kickstarter without rewards: the goodies that backers get for helping to fund a project. 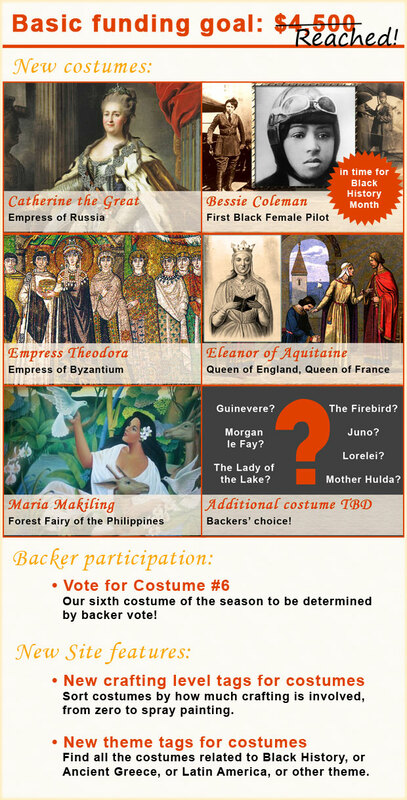 All our backers will be enrolled in the Voting List, which means you get to vote for new costumes. You’ll also receive our monthly newsletter with updates throughout the year. For more tangible rewards, we’ve created a variety of posters, available both as digital downloads and as professionally printed physical posters. These fit right into standard frames and mats, and make wonderful gifts. We’ll be shipping them as soon as the Kickstarter ends, so you’ll get them in time for the holidays. We also have a few (very few) of our collectible buttons left. 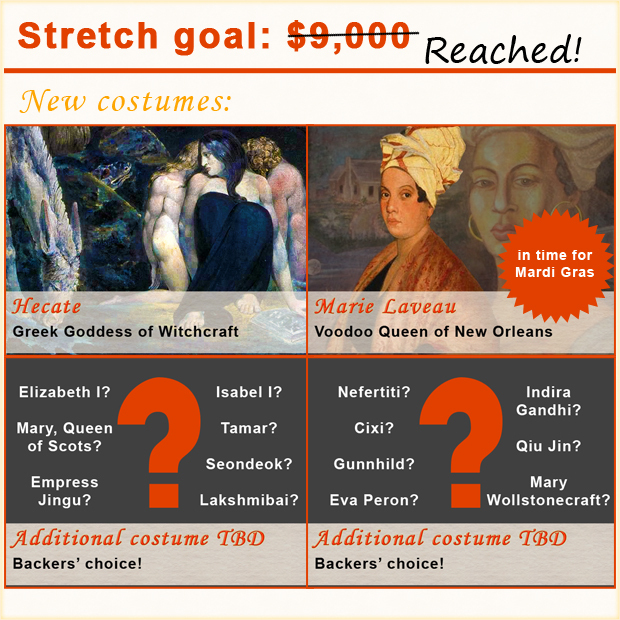 And once again we’re offering our super-generous backers the opportunity to commission a costume. If you’d rather commission a poster, we can do that too. 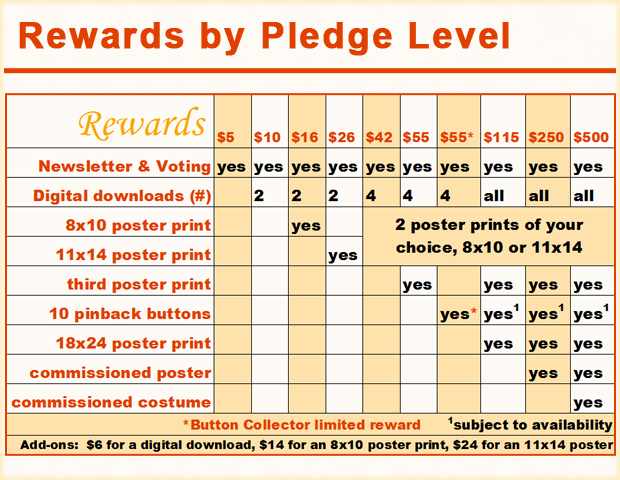 The add-on amounts are if you want extra posters in addition to the ones included in your pledge level. When you choose your reward level at Kickstarter, just add the appropriate amount to your pledge. Once the campaign is over, you’ll get a Kickstarter survey asking which posters you want, what your shipping address is, and so on. One of the several posters we have available. 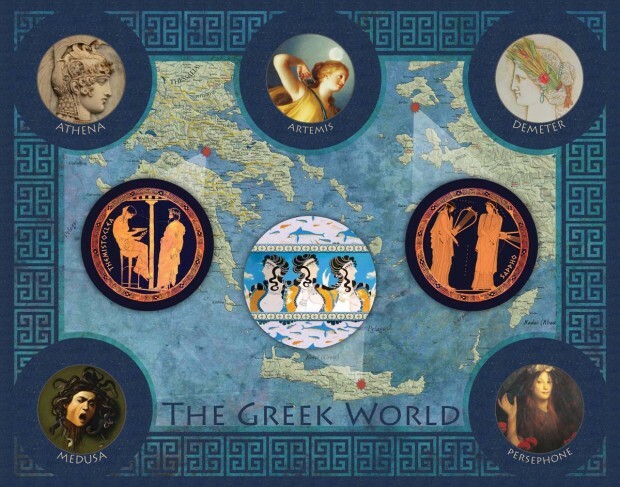 We have several different posters, so please check out our poster previews to see them all. We include a large low-res preview of each poster, along with a description and brief discussion of the images included. Thank you for helping us Take Back Halloween! P.S. You can also check out our first Kickstarter in 2012.